Who Defends Islam After the 14th General Elections (Ge14)? With an unprecedented 82% turnout in voting, the opposition alliance, Pakatan Harapan (PH), ousted the ruling Barisan Nasional (BN) in a historic victory at the 14th General Elections of Malaysia. The victory also brought about another historic event – the swearing in of Tun Dr. Mahathir Mohamed as the 7th Prime Minister of Malaysia at the age of 93. Tun Mahathir was also the 4th Prime Minister of Malaysia who ruled Malaysia from 1981-2003. What is clear from the elections is that the people of Malaysia aspires to see a change in government and now the doors of change is widely open. Of course as Muslims, our main concern is the defence of Islam in the aftermath of GE14. The alliance of PH is an alliance of convenience. It is not an ideologically forged alliance. The main objective of this alliance is to oust Najib Razak, the former Prime Minster and instigate change in government. Najib’s administration was without doubt a kleptocratic regime and the truth is that the people of Malaysia are tired of the status quo and this brought about the ‘people’s tsunami’. The current ruling PH government won 113 out of the 222 contested parliamentary seats and out of the 113 seats won, more than 50% are non-Muslims. 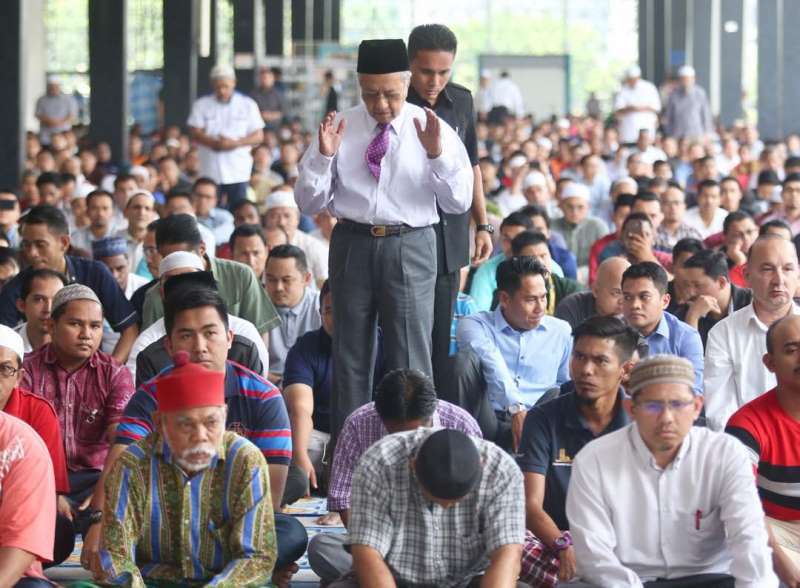 Many voiced their concern over the dominance of non-Muslims in the ruling party. In fact, after a few weeks of the PH victory, these worries are justified when there are already proposals that Muslims of Malaysia perceive as a threat to Islam. These, amongst others, include proposals to remove the religious status of individuals in the identity card to urge the new government to stop public expenditure on Islamic developments and liberal voices urging groups such as the LGBT movement to take the opportunity to push for their rights with the new government. These are indeed worrying trends and with the track records of PH parliamentary members pushing for liberal steps in the past, these concerns are real indeed. Nevertheless, it is wise for Muslims to look back and reflect on these very same issues before the PH government took over the leadership of Malaysia. Issues related to apostasy, religious status, LGBT and others have been around before GE14 and in some cases, such as apostasy and LGBT, the rights of these wretched group of people were guaranteed. The real issue is certainly not the change of government. True, with these liberals having an upper hand in the government, the concerns are justifiable. However, this nuance of worry, in reality, has never changed with the change of government. With the BN government, the basis of ruling, the constitution, which guarantees the rights of liberal groups to exist and voice their rights and needs, were firmly in place. Under the PH government, the same constitution is used. Each time issues that are viewed as liberal attempts to undermine the nuance of Islam in the country surfaced, Muslims will voice their concerns and these are frequently proven to be justified. These attempts have already been made during BN rule, proving that fundamentally, the real basis of concern is not the government but the basis of the democratic ruling of the country. In fact, many of the problems, especially economic problems, that are blamed on the BN government are in reality systemic problems and can never be solved as long as the same capitalistic system and the same constitution is in place. Consequently, with this reality, clearly not a single party or institution can be truly relied upon to defend Islam. Islam can only be truly defended when there is true change. True change can only be attained if we totally remove the colonial system and constitution and truly adopt al-Quran and as-Sunnah as the sole reference in our lives. True change can only be achieved if Islam is implemented in its totality under the protection of the Khilafah State. It is then that Islam will be truly defended.